The sign of Sagittarius wants to reach for the wider world and explore. Sagittarius loves to sell a concept, which may or may not be viable. Jupiter in Sagittarius can be an exhilarating ride, but the reckoning comes when one promises more than can be delivered. The retrograde gives us time to reflect and adjust goals and hopes to align in time with the tools for actual obtainment. Jupiter (planet named after the king of the gods) symbolizes publishing and knowledge. Yet these days the obtainment of knowledge through publishing requires careful scrutinization. The troves of unverifiable, unsubstantiated and false information erupts with the chaotic alacrity of a lidless popcorn popper. 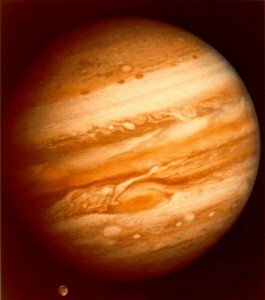 Jupiter also symbolizes justice and impartial discrimination, yet allegiance to one’s “truth” or belief system clouds judgement. I know a young man whose parents were Scots although he grew up in Mexico and then Thailand. He worked in London and other parts of Europe before he came back to Mexico to settle down. He told me that the perspective of living in so many countries taught him that there were more similarities than differences. Jupiter symbolizes travel and international relations as well as higher education. Theoretically, the wider our scope of knowledge, the greater our sense of justice. If you consider yourself right or without bias, use the retrograde Jupiter period to reflect on cherished ideals. If something looks or feels better than you can imagine, measure the cost. This is not to say that abundance or Law of Attraction manifestations don’t happen, but it is a reminder that with the big vision comes a price. The possibilities that follow are based on Sun Sign astrology. An astrologer looks at your whole horoscope, the moment in time when you were born. With the data of the position of the entire solar system at your birth, the forecast becomes more comprehensive and accurate. This general overview becomes richer if you look at your Rising Sign (a.k.a. Ascendant) as well. Keep in mind the retrograde period is April 10 through August 11, 2019. The retrograde period offers an opportunity to dive deeper for the true treasures but also tamp down over-the-top optimism that can threaten skilled achievement. Jupiter in Sagittarius for an Aries Although career obligations are strong, the desire to travel tugs. This may take you out of the country or propel you into international affairs, either literally or through targeted interest. You may take classes to expand your perspective or decide to go back to school. Litigation may be on the table or you may get a jury duty summons. If you write, this could be a period of increased circulation or even publication. Jupiter in Sagittarius for a Gemini Possibilities and potentials expand relationship. Romance can open your world. Partnerships present fresh perspective. The bloom of the new can excite but keep an anchor on your finances. This can also indicate that a partner is doing extremely well and you may feel a bit short-changed. This period may also be a time of contractual accountability in an existing relationship, either through business or marriage – depending on other factors it’s either time to commit or cut your losses. Jupiter in Sagittarius for a Cancer Invest in your health and exercise routine; it may be time to turn your present practice on its head. Many Cancerians enjoy robust energy at this time. You don’t want to overdo, but you do want to maximize your enthusiasm to establish systems that serve you well. If you’ve already maxed your pet quota in your home, avoid places where those cute puppies or kittens can snare your heart. This period tends to expand the joy presented by pets of all kinds, so make time for your little friend or prepare for a new one. If a “pet rock” is all you can handle, perhaps an air plant is in your future. Jupiter in Sagittarius for a Leo Unless other factors in your horoscope limit the fun, this is an exuberant time for Leos. Creativity explodes regardless of your profession. If you are in the arts, enjoy the ride — you may even explore a new avenue or media. If the arts are not your vocation, sign up for that improv or painting course you’ve always considered. Or you might prefer a series of theater tickets. Romance is highly likely this year but must be balanced with work and health demands. If a long-term relationship feels flat, it may benefit from “date nights” or other creative ways to enliven it. Jupiter in Sagittarius for a Virgo Connect to your roots to provide a greater sense of home. You may want to redesign your home environment, especially if you work there or plan to do so. Even if your past familial relationships or childhood history caused pain, your emphasis may be to explore or reevaluate family and home. A relative may have important insight at this time. Not all the revelations may feel good at the onset, but over time, great wealth comes from knowledge. You may welcome in a foreign exchange student or au pair. This can also be a period when you work from home or redesign how you do that. Jupiter in Sagittarius for a Libra Your commute may shift. Perhaps you join a car pool or begin one; it might be time for a new car to you. There can be new neighbors or businesses that come into your neighborhood. You might happen upon a “third place” within striking distance, that provides you with a stimulating option between home and work. Prepare for new lines of communication — you finally jump on Instagram or switch to a better internet provider. Depending on your personal horoscope, you may ramp up your communication skills to expand the reach of your message. Jupiter in Sagittarius for a Scorpio This period may can be a fabulous year for you financially. You get the raise, promotion or new job offer. A raise or increased income may require a longer or more difficult commute. More specific communication increases the sense of being heard, even though it may challenge your natural secretiveness. It is necessary to align yourself with what matters to you most, to embrace your values. For some Scorpios, this might mean leaving a high-paying job for one that feeds the soul. 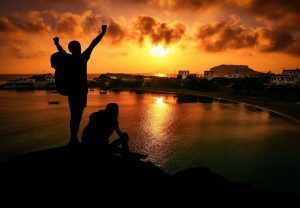 Sometimes the boost comes not in money but as a greater sense of your value in the world. Jupiter in Sagittarius for a Capricorn Whether or believe it or not, you have an angel at your back. This is true for all of us, but at his time you may experience the warrior intervention of St. Michael himself. This is important to know because so many responsibilities seem to be yours at this time. Even if things feel tight financially or you have any restrictions, help is available. You have the ability to restructure the foundation on which you stand. Depending on when you were born, the last few years may have been tough. A lightness of being can be ahead. Jupiter in Sagittarius for a Aquarius Fortunately, this is an easy forecast for an Aquarius, because your luck comes through groups this year. Most Aquarians interface with one or more groups, communities and associations, whether on-line or face-to-face or both. Whether you find yourself in a new home, new job or clueless as to the next path, get out and network! You are fiercely independent and may be used to doing everything yourself. Yet when you are in synch and connect with the right people they can direct you to a higher star and everyone benefits. Jupiter in Sagittarius for a Pisces this You get to reap the benefits of your hard work at this time. It’s not that you won’t be working if you so choose, but you can produce and enjoy rather than climb uphill. This may provide new options for you to consider, a business is sold, status increases, retirement happens or you achieve the goal. Success and kudos should come your way if you’ve been on a right path. You are in a groove when you allow it to flow, it will. This may also be a time that highlights your father. These are just a few thoughts on what to expect over the next few months, with Jupiter in Sagittarius through December 2, 2019. If you want to know in what ways you can harness your vision/ goal and make your reality, contact me. Perhaps you want to start your own business, or a relationship has ended or your responsibilities have radically shifted? You might be excited by the potential ahead but don’t have a clear picture of what action to take. These are great reasons for an astrology session or program.